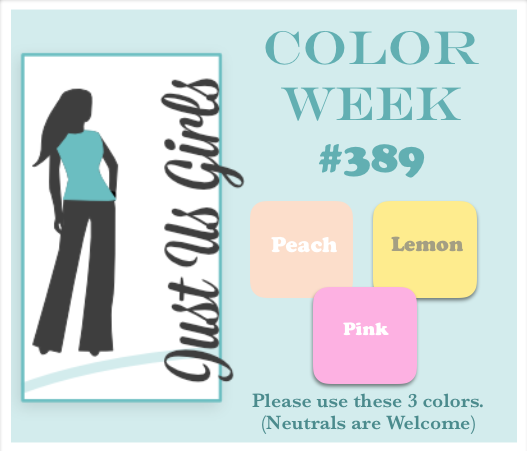 Hello Friends, Over at Just Us Girls Ina has a great color combo for us, and you for that matter! She has selected Pink, Peach and Lemon. By golly, if those colors don’t scream Spring and Easter, nothin’ does! Of course, I didn’t go the Easter route, I went Spring and Birthday! I have been stuck in a pattern lately of using strips of colors on my cards. I am really happy with this layout, in fact I made 4 additional ones in all different color combos. However, I am saving those just in case I need them down the road for another DT challenge. Sometimes you have to have backups in your arsenal. You know what I mean? The butterfly die is from Savvy, and the sentiment is my go to from Verve! This card was not my own and a case of this beautiful card Here! Beautiful card. Love the strips of color and pretty butterfly. Have a great weekend. Happy Easter my friend. You are so sweet! Thanks so very much for making my day! Very clever layout Nancy. Looks fabulously stunning. So creative to put the colors in the background and then die cut a butterfly, and let the colors show through. Genius. Wow! You really knocked this color challenge out of the park! Beautifully done. I love how the stripes show through the butterfly, Nancy. This is such a creative card. LOVE the color blocking and the way it colors the bfly! Happy bunny day! Wow this is is pretty! Love the color blocking on the big and the butterfly! Lovely card! Happy Easter! I love this! The colors are great and I love the way they show through your gorgeous butterfly! Nancy, this is fabulous! At first glance I thought you had colored it, matching up to the stripes. Awesome work on this beauty! Wonderful card! 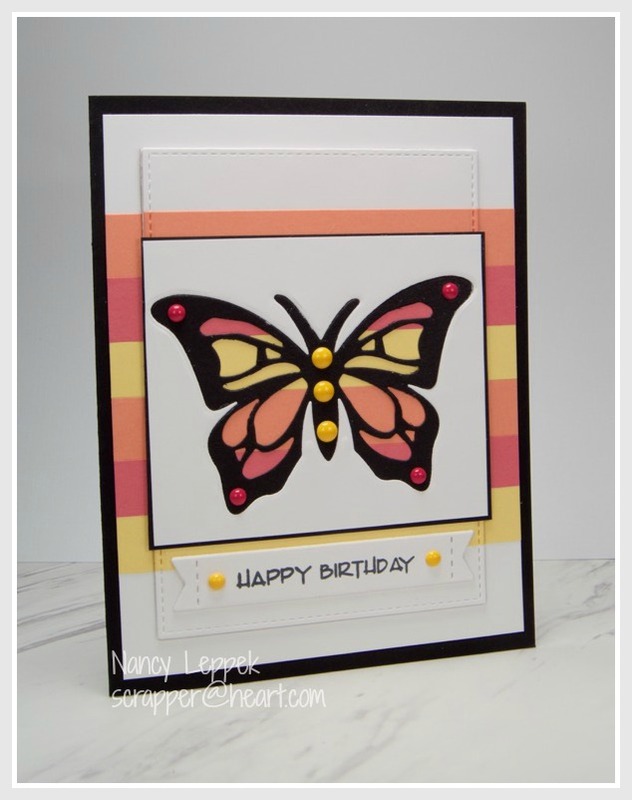 Love how the striped colors show through the die cut flutterby! Well by golly, this card is stunning. I love the stripes for the background, and I adore your butterfly. Just beautiful, this is getting pinned!! !